Originally practiced as part of Buddhism, mindfulness has highly developed psychological teachings. 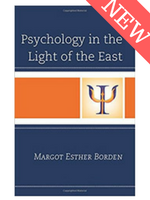 There are hundreds of books on the psychological teachings from both Western and Eastern Buddhist masters, the scientific study of its benefits, embodying approaches taught by John Welwood, Jon Kabat-Zinn and many others. Leaving its Buddhist origins for monasteries, retreats and the meditation cushion, there are a few ways I like to bring mindfulness into my psychotherapy sessions. In practice, it can be as simple as focusing on the breath. Observing what ‘is’ and gently breathing into it. It is not aimed at negating and transcending our experience in the here and now, but rather sitting with it, watching it, while not engaging or identifying with it. This creates a stable base for us to begin unraveling from surface issues and delve inwards. Welwood teaches a way of practicing mindfulness to help clients develop awareness of the roots of their emotions in the body. Tightness, knots, discomfort or other visceral feelings are the way our emotions are expressed through the body. Sometimes we have become so accustomed to blocking out these signals that we do not even know they are there. Yet, if we bring our attention inward, depending on our level of awareness, we may notice slight sensations in the body indicating an emotional response. When this arises in session, I gently guide the client into an exploration of that sensation. Some of us have cut ourselves off from our emotions to the extent that we have dissociated from the feeling roots in our bodies. When this is the case, the bridge first has to be built. Simply placing our attention on what we experience at any given moment, even when there is no particular perception at all, allows our awareness to develop over time. A common misunderstanding here is for ambition and the pressure to get somewhere or change something, to get the better of us rather than simply sitting with or giving space to what we are experiencing. When we listen in to our body, it is like an antenna, giving us a moment-to-moment update on how we are feeling. When we feel tension or disharmony, we may find an inner reaction to outer stimuli or a reaction to our own inner dialogue. Either way, by holding this disharmony in our awareness with non-judgment, we can walk through it rather than being with it and escalating to the point where we have an outburst, breakdown or just a plain old bad day. Simply being present with our emotions as they arise with no judgment, no resistance, turns—to use Ram Dass’s analogy—great, huge monsters into tiny, powerless rascals. Through mindfully placing our attention on our experience and spending time with it, simply holding a space for whatever is, we disengage from the downward spiral of reaction. Creating space for what we experience turns it into a gateway inward, to more wholesome parts of ourselves. This leads to insights into our own functioning and attitudes. This kind of mindful inquiry is useful for building the body-mind connection, for helping to identify and open up emotional blockages in the body. 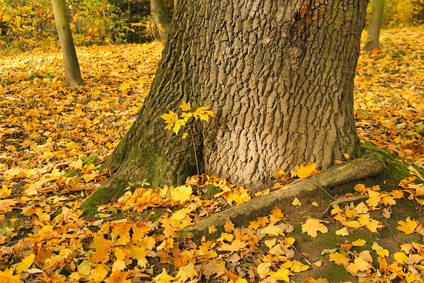 Eventually, it leads inward to a deep sense of centeredness and peace as the blockages unravel. Mindfulness is a great tool for working with our feelings on a day-to-day basis. It helps us develop emotional mastery and the objectivity and empowerment to address and express our emotions consciously and intentionally. It helps to steady the mind, making it easier to deal with difficult emotions such as anxiety, anger, and depression. Mindfulness, because it helps us to develop a neutral way of observing ourselves, makes it possible to find a way to safely bring up old and traumatic memories in order to help us release the emotional pressure they carry and move on. Practicing mindfulness in the context of psychotherapy can actually help to bring to the surface memories that have been suppressed but whose effects are influencing us from behind the scenes in negative ways. When avoidance or any other form of resistance arise, we can simply watch them too, without identifying or engaging with them. We start to deal with what is disturbing us at the root, rather than our reactions, defenses, and resistance to it. By doing this, we are able to work through the issues that arise and move on. Mindfulness goes hand in hand with the notion of acceptance. This may have negative connotations for some. Many years ago, I was neurotically fussing about some now forgotten aspect of my life and a dear friend said to me, “Just accept it.” “What!? And let it run my life?” An hour later, after a soul-searching dialogue, I understood that acceptance does not mean submission to, passivity or despondency. It means embracing, making space for the bothersome issue rather than resisting it. Acceptance is an attitude that allows us to delve into our discomfort rather than react to it. We give our power to whatever we resist. This subtle difference in attitude opens up the way to empowerment. We come back into our center and out of reactivity. Once we have owned our reactions and emotions, it liberates us to take action from a centered, empowered and non-reactive place. This positively impacts the results of our action. Acceptance is a positive quality related to equanimity, having an equal heart. It is also closely related to detachment, which is yet another concept that is misunderstood in our modern go-getter mentality. Acceptance requires strength and courage but, does not preclude action. Where action is not possible we may simply need to come to terms with life’s events in our own heart. Acceptance gives us the possibility to transcend and integrate our experiences. Mindfulness helps us to calm the mind and live more peacefully and meaningfully with our inner and outer difficulties. This creates space for the non-judgmental exploration of weaknesses and vulnerabilities that make up our emotional minefield. The objectivity and emotional mastery we develop give us the power to overcome unconstructive habits. Mindfulness does not have the spiritual focus of many yogic-based techniques and can therefore be adapted to psychotherapy as well as other contexts, such as coaching and business. It gives us the autonomy and the means to process our life experiences and is a bridge between the outer self and the inner, transcendent self. With person-centered dialogue, breathwork and mindfulness as the bricks and mortar of my work, I like to keep a host of other tools in my toolbox in order to be able to help clients effectively address whatever arises. Call or contact me to start your road to healing now. Just fill out the contact form and click SEND. 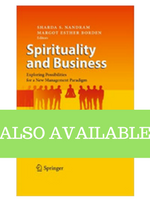 See for example Margot Borden & Prahalad Shekhawat, “Buddhism and Management” in Spirituality and Business: Exploring Possibilities for a New Management Paradigm, (2009, Heidelberg: Springer).